Scottsdale, Arizona is a desert city in the American Southwest with plenty to offer its visitors. Best known for its golf courses and luxurious spa resorts, the city presents stunning pictures of desert flora and rock formations as well, while the downtown area opens a window to the past with its many 1920s-era buildings. 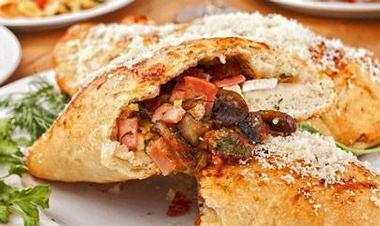 In addition, Scottsdale has a number of great Italian restaurants to satisfy its population of more than 200,000. Italian chefs in town specialize in cuisines from both the north and south of the peninsula and show off their skills in crafting pizzas, pastas, and other seasonal entrees. In addition to bistros that adhere strictly to the eat-in format, the city has plenty of delicious delis and takeout venues serving up dishes inspired by Old Europe. 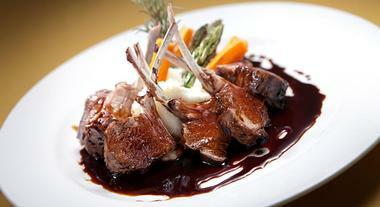 Basil & Garlic is a welcoming Italian bistro specializing in the cuisine of southern Italy. Chef Claudio Armetta prepares fan favorites during lunch and dinner services and for takeout. The venue prides itself on its family atmosphere and use of quality ingredients. The menu is incredibly wide-ranging, featuring signature Basil & Garlic hot subs, traditional, and Sicilian pizzas made with a host of different toppings and pastas made with a choice of one of five types of noodles. Everything is made with care by the head chef and co-owner himself, and each dish incorporates the classic flavors and spices one expects from an Italian-style meal. 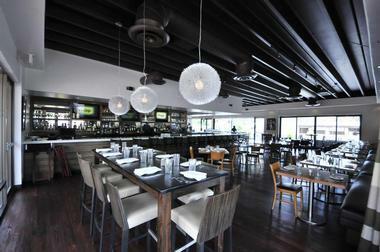 EVO is an upscale restaurant located in Old Town Scottsdale. EVO is locally run and managed by Nick Neuman, who brings his Italian roots into the heart and soul of his restaurant. Chef Steven Fowler prepares exquisite dishes in the culinary traditions of Northern and Central Italy, and his menu incorporates staples such as risotto, carbonara, ragu, and alfredo, among other notable Italian dishes. Also sprinkled on the menu are several American dishes for something a little closer to home. EVO has a daily dinner service and an interesting “Brunch after Dark” on Sundays with its own dedicated menu. Situated near Pinnacle Peak in North Scottsdale, Gianfranco Ristorante by Darcy is a neighborhood favorite for Italian dining. The ambience at Gianfranco is unmatched—the restaurant’s interior décor mixes warm and stark details in its upholstery with a use of exposed wood and glass throughout the space. 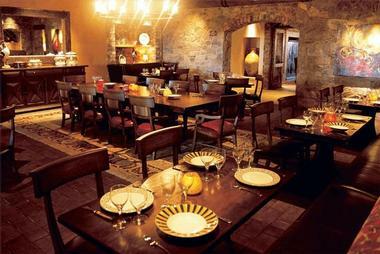 In this way the restaurant combines an upscale atmosphere with a comfortable setting. 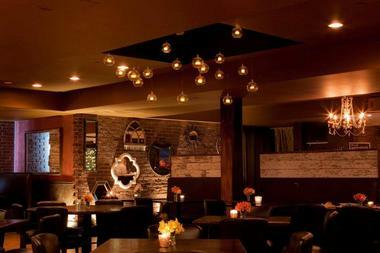 The venue includes a dedicated bar, dining room, and areas for special occasions. Gianfranco’s menu presents delightful takes on beloved Italian pastas, risottos, and entrees such as shrimp fra diavolo and veal parmigiana. The restaurant also boasts an especially extensive wine list for the perfect pairing. A Scottsdale institution established in 1983, Guido’s Chicago Meats & Deli is none other than a true Italian deli shop. Run by Joe and Araceli Guido, this family delicatessen makes its own Italian foods, has a wide array of gourmet cheese and meats, and offers a stunningly vast selection of groceries and cooked dishes. In addition to deli items, Guido’s also serves up lasagnas, pastas, pizzas, Italian grocery items, and sandwiches for takeout or dining in. The eating area of the deli seats 50, and catering services are available. Guido’s also offers regional and nationwide delivery of its unique Italian specialty items. Isabella’s Kitchen is a casual yet classy restaurant located on the territory of the Grey Hawk golf club. The establishment has a very warm, rustic feel with exposed wood throughout the space and numerous painted tiles details in its interior design. The venue makes the most of Scottsdale’s warm weather with an expansive outdoor terrace that looks out over the golf course and has several fire pits. The menu at Isabella’s is rather varied and includes a mix of Italian and American starters, salads, sandwiches, and entrees, plus a selection of pizzas and pastas. This is complemented by a large menu of alcoholic beverages that can be enjoyed with a meal or at the bar. 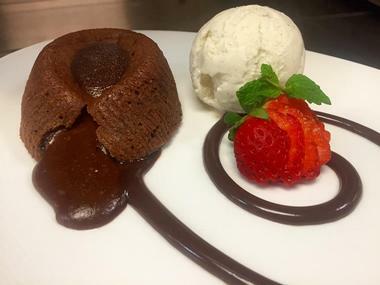 La Torretta is an Italian restaurant and steakhouse that boasts a top-notch menu and an atmosphere that is at once sophisticated and intimate. The wooden interior of the restaurant seamlessly marries its identity as a steakhouse with its Italian heritage. La Torretta also has an outdoor patio with a view of the McDowell Mountains. The menu at this establishment incorporates well-known Italian favorites, each of which has been customized by the chef and transformed into a unique La Torretta creation. 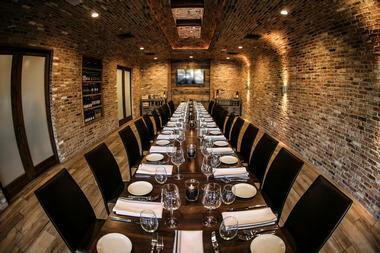 The wine list has a number of fine vintages from Italy and beyond, and the venue is equipped for larger catered events. Local Bistro is an ultra modern restaurant and bar that serves its guests rustic Italian cuisine in a setting with clean lines and a hip vibe. The dining room and bar areas emanate urban sophistication with contemporary details. Still, despite its trendy feel, Local Bistro welcomes families and even has a dedicated kids’ menu. The location has lunch, brunch, and dinner services, as well as an evening social hour and late-night reverse social hour with menus full of specialty cocktails and small plates. 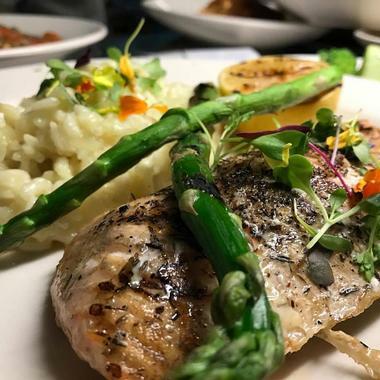 Local Bistro is committed to using only fresh and seasonal ingredients, and the chef’s creations range from classic favorites to interesting concoctions exclusive to this venue. Marco’s Italian Bistro is a place to get cozy and enjoy some great Italian food made with natural and organic ingredients. Restaurant namesake and owner Marco hails from Abruzzi in central Italy and aims to bring some of his local flavor to Scottsdale through his restaurant. He is committed to creating natural dishes without any artificial or chemical flavoring, just as his mother did back in her home kitchen in Italy. 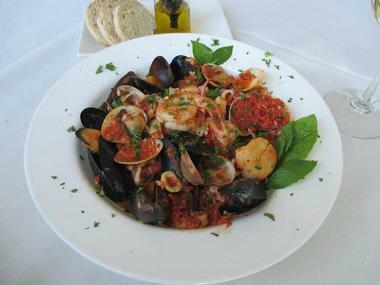 Marco’s menu includes pizzas, pastas, meat and seafood entrees, and antipasti. 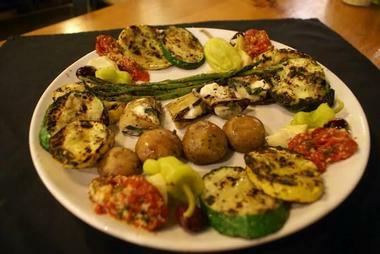 It also has a wide selection of vegetarian, vegan, and gluten-free options to cater to most dietary restrictions. Rinaldi’s Italian Deli is a home-style, casual deli and eatery serving up breakfast and lunchtime fare such as soups, sandwiches, salads, and Italian dishes. Unlike other delis, Rinaldi’s offers a full breakfast service with a fresh selection of breakfast burritos and omelets, among other items. For lunch, guests can stop in and enjoy a quick sandwich or pasta dish in a New York-style atmosphere. All items are budget friendly and are available to eat at the deli, take out, or have delivered home or to the office. Rinaldi’s also has a complete catering service for orders of larger sandwich, salad and pasta platters. 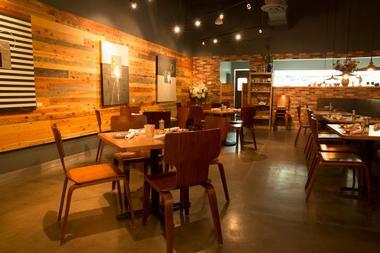 As the name indicates, Uncle Sal’s is a family-owned and operated restaurant in Scottsdale. Uncle Sal’s has all the trappings of a true Italian restaurant with rich wooden décor, checkered tablecloths, and family photos taking up every inch of the walls. Table and booth seating are available, as are three daily menu options to accommodate all preferences and budgets. 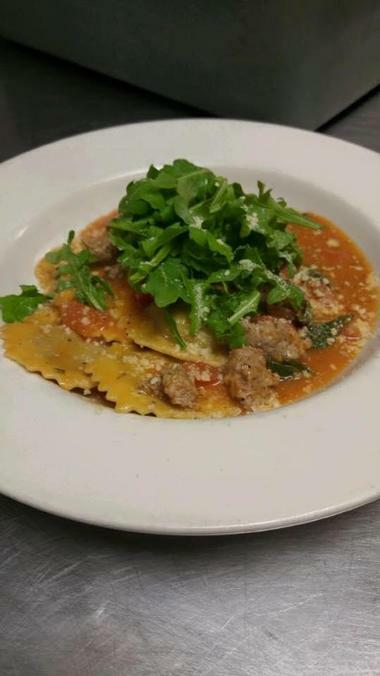 Uncle Sal’s also works hard to meet guests’ dietary needs while still delivering authentic Italian cuisine. The restaurant’s lunch and dinner menus feature handcrafted items made using fresh seafood, steaks, and veal. 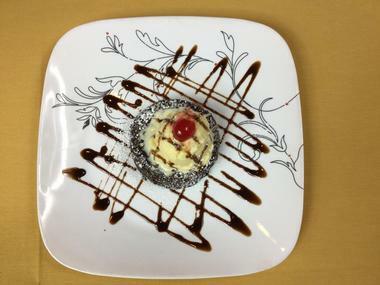 The restaurant also serves delicious pastas, appetizers, and desserts. Arrivederci Ristorante brings a little piece of Italy to Scottsdale in its brightly colored dining room. A beaming yellow motor scooter greets visitors from the outside, while wall-to-wall frescos create a completely Italian atmosphere inside the venue. Arrivederci has lunch and dinner menus with a rotating selection of daily specials from the chef. 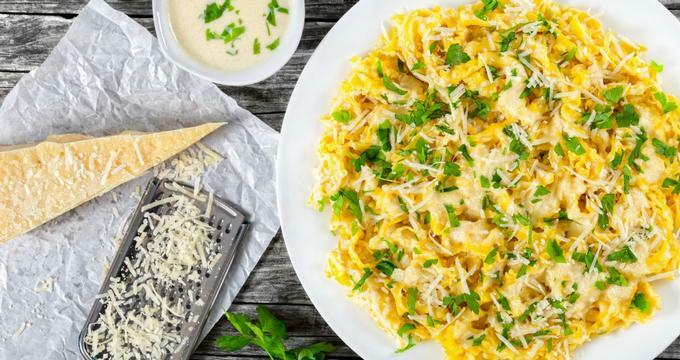 Its offerings include appetizers, salads, soups, pastas, and meat and seafood entrees, all of which resemble traditional Italian plates but incorporate interesting additions and modifications to make them unique and flavorful. Wall-length racks of red and white wines provide the perfect pairings to these one-of-a-kind, beautifully plated dishes. The phrase casa mia literally means “my home” in Italian, and the proprietors of Scottsdale’s Casa Mia do their best to embody this homey spirit in their restaurant. The owners moved straight to Arizona from Sorrento, a city in Italy’s Napoli region, and immediately set to bringing authentic Italian flavors to the American Southwest. The venue itself mixes rustic touches with modern fixtures to create a trendy, yet comfortable space. 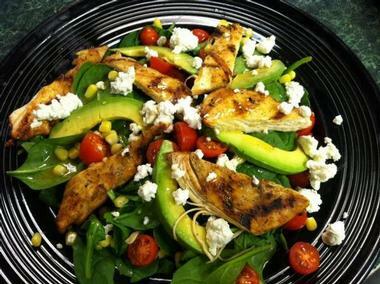 Casa Mia commits itself to using only fresh, quality ingredients. All pastas are made in house, and all the vegetables are organic and sourced locally. Every dish is made from a simple combination of flavors, allowing each ingredient to shine through. The pasta selection is the most prominent feature of the menu, but meat and seafood entrees are also served. DeFalco’s combines everything one could want in an Italian food venue—a deli, a grocery shop, and an in-house eatery all in a single location. The family-owned establishment has racks of gourmet Italian grocery items filling its aisles, including imported wines and beers, olive oils, and authentic Italian pastas. The DeFalco’s menu, which is standard across lunch and dinner, is incredibly large and diverse. Menu items include hot and cold sandwiches crafted to perfection on fresh breads and topped with ingredients that come straight from the delicatessen itself. The menu also incorporates pizzas, pastas, calzones, soups and salads, and a full dessert menu with cookies and pastries as well. Franco’s Italian Caffe is the joint project of native Italian restaurateur Franco Fazzuoli and chef Steven Martin. The pair began in New York, eventually moving to conquer the Italian restaurant scene in Arizona. Steven learned Tuscan cooking from Franco’s mother, who taught him the craft on his visits to her in Florence. Franco’s Italian Caffe offers a dinner service in the evenings, as well as takeout options. The menu incorporates perfectly crafted Italian antipasti, pastas, and entrees, as well as a “dolce” section of traditional desserts. The beautiful dishes made at Franco’s can be paired with a wide selection of wines from the restaurant’s award-winning wine list. 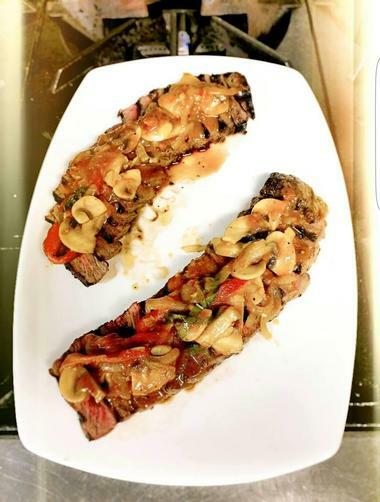 Chef Marcellino and his wife Sima run Marcellino Ristorante and both spend each day at the bistro giving patrons the most comfortable, pleasant dining experience possible. Everything begins with the chef’s stellar Italian cuisine, which finds its soul in fresh, in-season ingredients. These include fresh-caught seafood, homemade pastas, and wild game specially imported to round out meat entrees. Diners enjoy their rich dishes in one of the restaurant’s many dining areas, which include a U-shaped space close to the chef as he works, a bar area, a private table for two, and two patios. Exposed brick and photos of Italy’s most beautiful sites only add to the mood. 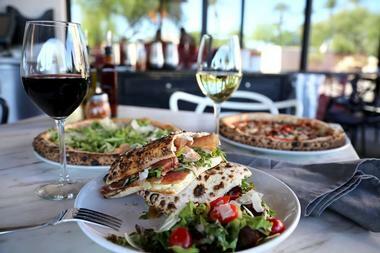 Times Square Neighborhood Italian Restaurant makes a strong, winning effort to be a valuable part of the Scottsdale community. This casual eatery is a welcoming space for families and friends to come in and enjoy a nice Italian meal. The atmosphere is no frills and the food is served up to deliver great taste with no excess pomp. The menu at Times Square has comfort food breakfast specials, hot and cold sandwiches, a wide array of pastas, entrees separated by the meat they feature, and a host of homemade desserts. The bistro’s seafood courses are considered fan favorites and come specially recommended. The North Italia bistro calls itself “a love letter to Italy” and embodies this motto in its approach to food and dining. The location at Kierland Commons strives to create the corner café feel with rich wood accents and racks of fine wines from floor to ceiling. North Italia serves lunch and dinner and has a special kids’ menu for the little ones. The diverse menu includes small plates to enjoy with a glass of wine, unusual house-made pastas, a contemporary salad offering, oven-fired pizzas, and a range of main courses. It has a happy hour on weekdays and Sunday wine specials. Naples, Italy is considered the home of pizza itself, and Pomo Pizzeria Napoletana makes a concerted effort to carry this heralded tradition on in Arizona. The pizzeria uses techniques that have been handed down from generation to generation, as well as exclusive ingredients. The sourdough that forms the bistro’s specialty crust is made from flour imported from Naples and takes 24 hours to be ready to be used in its pizza. The owners themselves personally designed the ovens at the venue, and the pizzas they produce are mouthwatering delights. Pomo is even certified by several pizza associations in Napoli, meaning total authenticity and perfect flavor are guaranteed. Established in 2004, Sassi has maintained its reputation as one of Scottsdale’s best Italian restaurants for more than a decade. The menu at Sassi draws mostly on Southern Italian cuisine, offering fresh, handmade pastas and breads on a daily basis as part of its simple yet elegant assortment of dishes. The location exudes Italian charm with exposed beams and brick walls, and its dining room and patio spaces offer views of both Scottsdale city and the Sonoran desert. The menu at Sassi changes seasonally to accommodate both the freshest ingredients and the finest gourmet items from the Italian culinary wheelhouse. 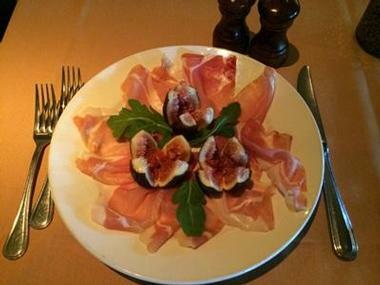 The dinner service features antipasti, small second course plates, and entrees, and the restaurant has a considerable cocktail and wine offering. Spiga Cucina Italiana combines Mediterranean flavors from not just Italy, but also the Iberian Peninsula of Spain and Portugal, in an interesting, varied menu. The restaurant’s space has an all-brick interior reminiscent of a home in the Italian countryside, and one section of the dining room is partially open air, letting the breeze in through the open window spaces. 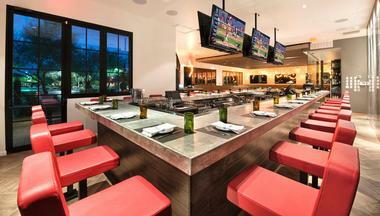 Spiga has both lunch and dinner menus, as well as happy hour drink specials and dedicated set menus for large groups. But this restaurant’s piece de resistance is its massive wine collection, which includes 2,350 bottles of various uncommon Iberian wines. Tesoro Ristorante Italiano is a highly rated Scottsdale Italian restaurant located in the city’s Ancala Village Shopping Center. 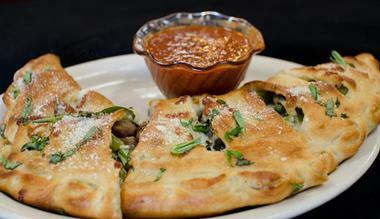 Listed as one of Arizona’s top ten Italian eateries, Tesoro prides itself on the authenticity of its food. The restaurant has a warm Old World feel with décor reminiscent of grandma’s dining room. Tesoro delights its diners with a menu full of Italian dishes familiar to Americans—crowd favorites like tortellini in cream sauce, lasagna, and veal piccata are common in the restaurant’s offerings. Tesoro Ristorante Italiano has a daily dinner service, a separate menu for takeout, and a catering menu for large groups and special occasions. 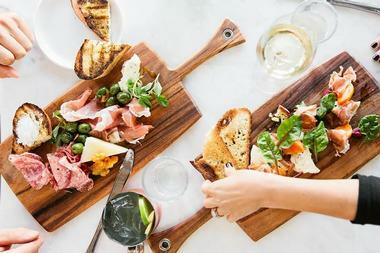 Tommy V’s Urban Kitchen & Bar takes Italian cuisine and adds a hip flair to it. 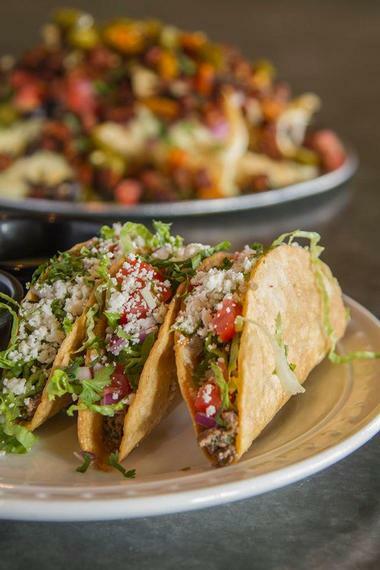 The restaurant, located in the center of downtown Scottsdale, features a dining area, bar, and outdoor patio space for relaxing and taking in the atmosphere in the company of family and friends. 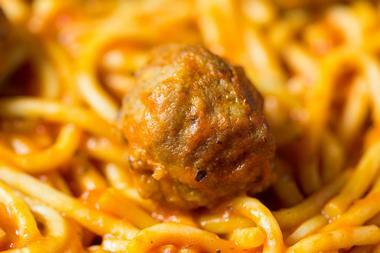 The menu rings true to the Italian cooking tradition with its incorporation of dishes like spaghetti and meatballs, caprese salad, and fetuccini bolognese, but the chef also adds little twists to many dishes to give them unique, unexpected flavor. Tommy V’s serves lunch and dinner and has a happy hour menu; as a special treat, the venue hosts wine dinners each month. Tutti Santi by Nina has true Italian roots on multiple fronts—its owner Leonardo “Leo” Zacchino hails from San Remo, Italy, and all the dishes on the menu are based on original recipes by world-famous chef Nina Vincente. Some of the most popular items on the menu are Nina’s authentic caprese salad with homemade mozzarella and the restaurants’ signature carpaccio di bue. In total, the menu at Tutti Santi is very extensive, consisting of hot and cold appetizers, all kinds of pastas, and fish and meat-based entrees. There is a separate dessert menu. Tutti Santi also has both happy hours and reverse happy hours with live music performances. Veneto Trattoria is an independently owned restaurant offering reasonably priced Venetian fare in a casual, welcoming setting. 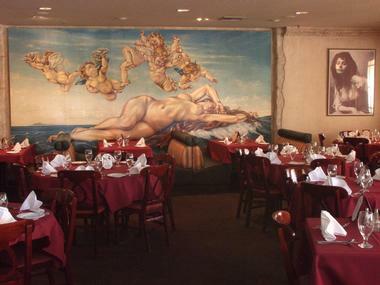 The owners state that their goal is to completely recreate the Venetian dining experience. They achieve this not only on through menu, which features dishes traditionally found in the famous city of canals, but also in little touches throughout the venue. For example, the menu liberally incorporates balsamic vinegar, a common Venice ingredient, and always has a daily special in the tradition of the Italian trattoria. Veneto Trattoria serves lunch and dinner and has a wine list with vintages from both Italy and California.